DREAM THEATER will embark on their first North American tour of 2016, which will see the pioneering group performing an historic set in immersive and interactive settings for a unique and unparalleled live experience. 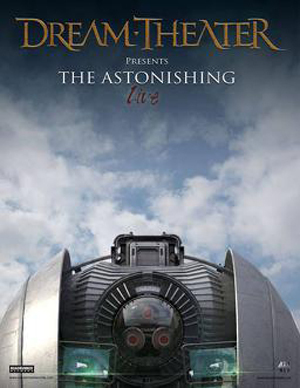 Set to kick-off April 14th at Quebec City’s Theatre Du Capitole, the spring trek will see the prog-virtuosos delivering a one-of-a-kind show in which they will perform their forthcoming double concept album, The Astonishing, live in its entirety. The momentous tour will continue through May with the band making stops at prestigious theaters throughout North America including New York’s Radio City Music Hall, Los Angeles’ The Wiltern, and Boston’s Orpheum Theatre with additional dates to be announced. Pre-sale for the North American dates is going on now with general on sale starting Tuesday, December 22nd. For up-to-the-minute news and ticket information visit this the DREAM THEATER webiste right HERE. The Astonishing will be released on January 29th. Consisting of 34 tracks spread across 2 unique acts, The Astonishing is available now for pre-order at all DSP’s with all orders accompanied by an instant grat download of “The Gift Of Music”.